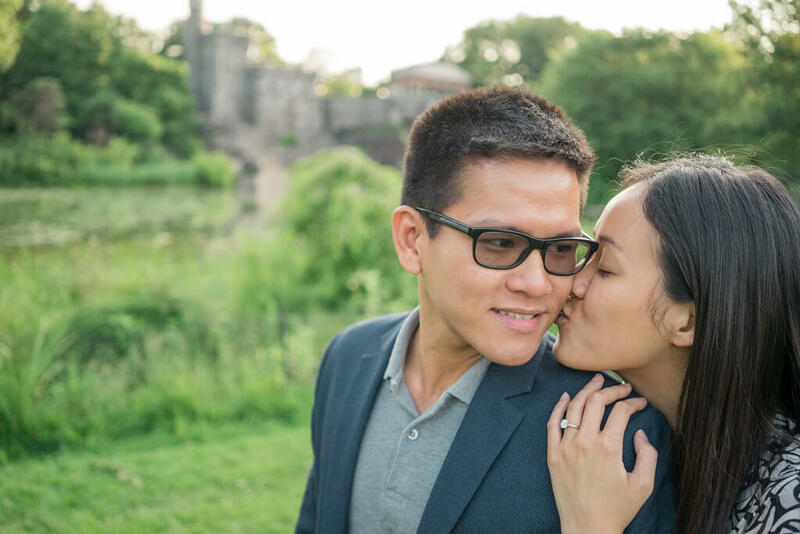 Jonathan Wong and Kit Lam came to New York for a week vacation. Jonathan works in Abu Dhabi and Kit works in Hong Kong. They are both in the finance industry, so the vacation was much needed. So after dating for one year Jonathan knew exactly what to do. 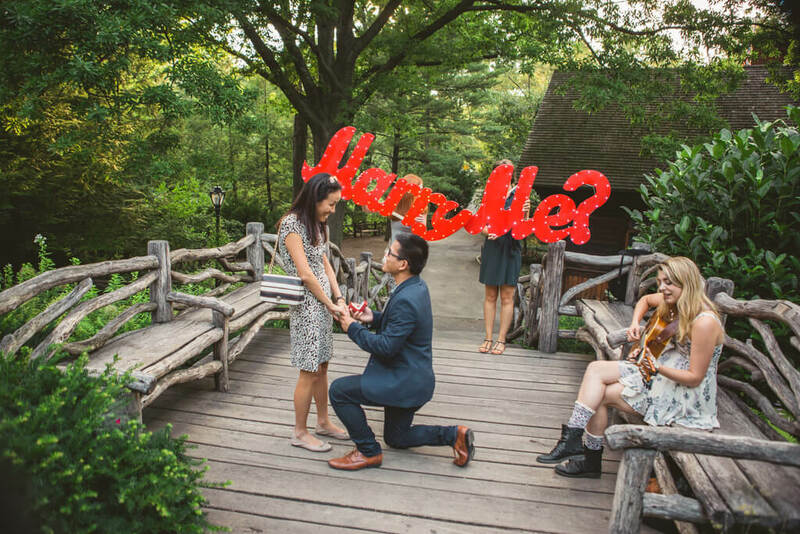 Kit was the one and he was ready to propose. 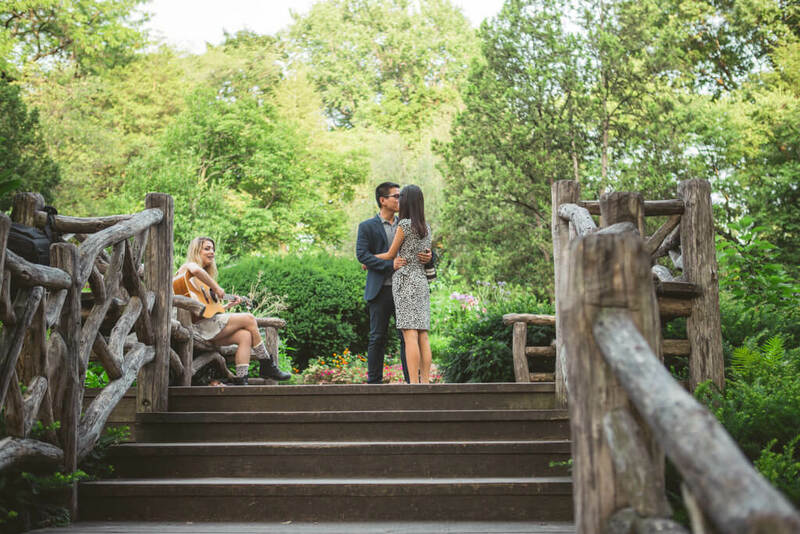 Jonathan contacted us to help him to set up a surprise proposal in Central Park. “He picked me up from work and appeared quite furious as my meeting overran for an hour. I’d never seen him that mad before. So i was very busy calming him down in the cab. But the moment we stepped into Central Park, he seemed all relieved and happy (i was worried I was dating a bipolar!). And he took a selfie of us….. to a chat (i spotted)… WEIRD…. I kept asking him what was going on as i smelled something fishy. I was expecting a surprise perhaps but not a proposal. Then we walked to the castle and someone told us to go to the Shakespeare Garden - my suspicion grew!! But still didn’t believe it was happening. Then he led me up to the stairs and there sat a guitarist singing OUR SONG. And he knelt!!! 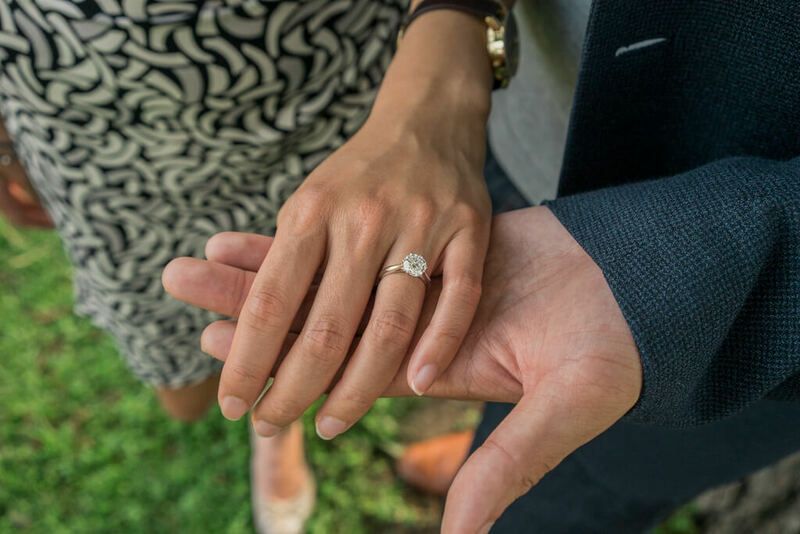 And popped the question. I was told later he said a couple other lines but i totally missed those!! Lol “ , Kit shares. I thought of doing in New York central park because that happens a lot in movies and would like to be somewhere very memorable. 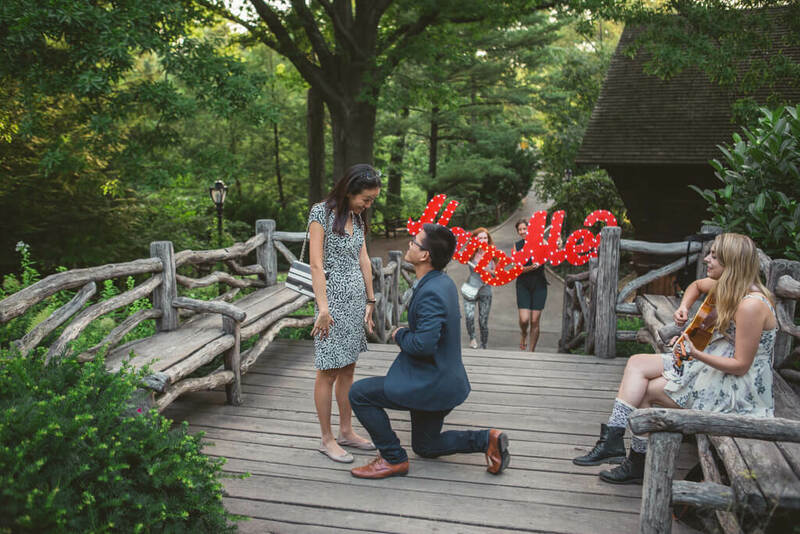 I wanted us to listen to the song (Lucky) while I am proposing and have someone to capture the moment for us. 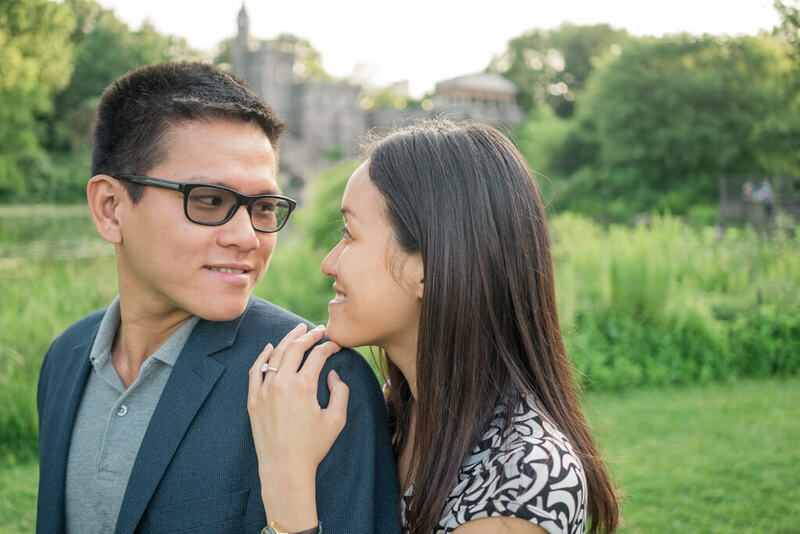 It was meant to be nervous until she was late for almost an hour, everything pretty much according to plan except I planned to relax with her in central park for a bit before going to the proposal location otherwise it will be much smoother,” said Jonathan. 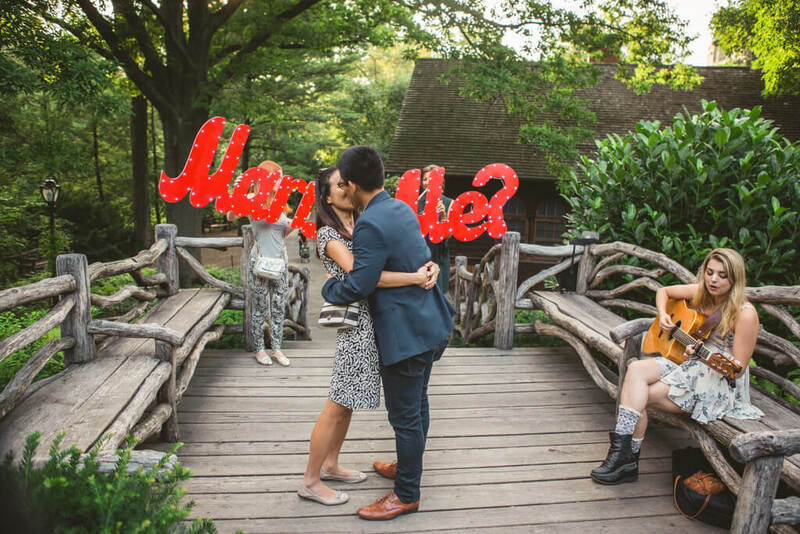 Kit was shocked, because she never suspects him to propose in New York. Jonathan was always whining about this city, so that was surprise. But she was very delighted he did all that to surprise her. After the proposal and photo session with Vlad, the couple went to the French bistro for a dinner celebration and announces the news to the families. 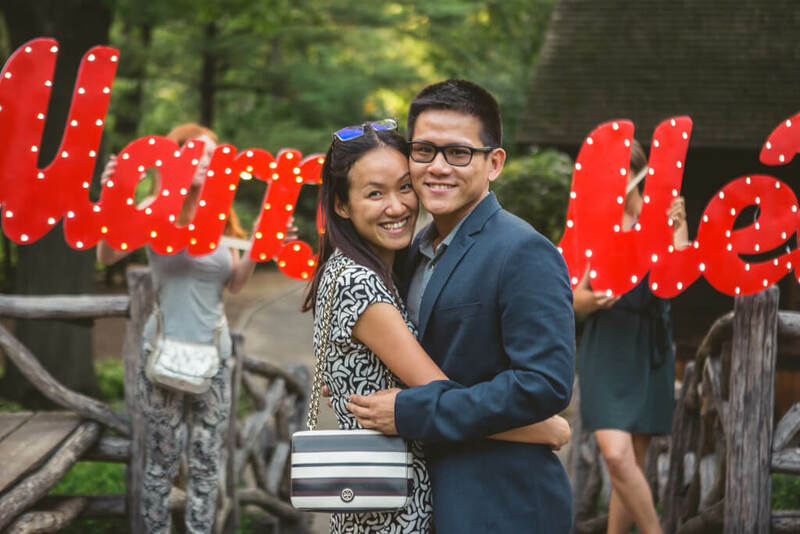 Congratulation on your proposal Jonathan and Kit!